CMAST welcomed its inaugural cohort of undergraduate students for the 2016 Spring Semester@CMAST Program. With seed funding from the Provost’s Office, the Semester @ CMAST is the first-of-its-kind NC State commitment for a semester-long, academic coastal and marine program for a large class of undergraduate students, and offered courses taught by experts in their respective fields, as well as courses not offered on main campus. Courses ranged from Oceanography, to Fisheries Ecology, to Marine Mammal Biology & Aquatic Animal Health, to Applied Marine Ecology, to Marine Resource Management and Policy, to Experiential Learning courses that provided hands-on research and internship experiences. 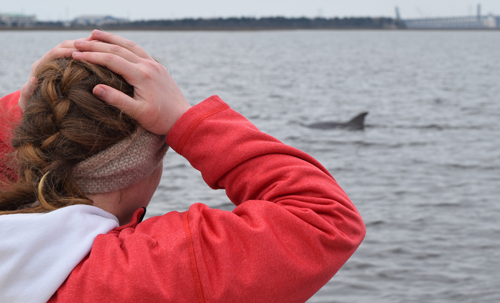 The experiential learning opportunities ranged from assisting with wild horse population studies on the nearby Shackelford Banks barrier island, to characterizing light levels along Atlantic Beach that might impact sea turtle nesting success, to necropsies of stranded dolphins to determine the cause of death, to quantifying ecosystem services provided by shellfish aquaculture in nearshore waters, to characterizing the timing of larval ingress of fish from the Atlantic Ocean that replenish fish populations in estuaries. 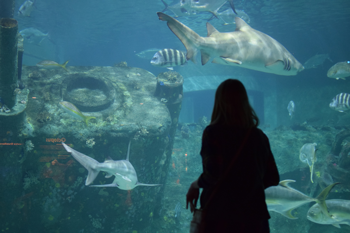 Coastal and marine sciences are a vital part of the environmental make-up of North Carolina, and an essential part of the socioeconomic fabric of the state. NC State University has a large and growing commitment to CMAST, and to activities there that span the missions of the University. 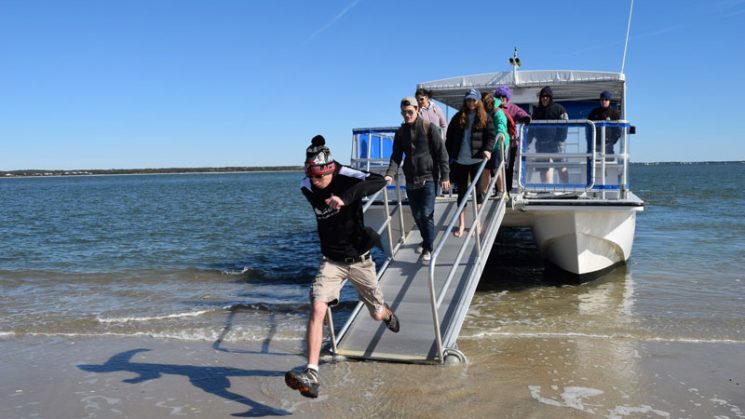 CMAST Director David Eggleston indicated that, “with the Semester@CMAST Program, we created a special, repeated opportunity for NCSU students to experience the North Carolina coastal and oceanic environments. The academic experience for our undergraduates students spanned the interdisciplinary themes of the environment, natural resources, physical sciences, health, policies and economics ensuring students learned how coastal and marine systems are linked, and relate to human activities”. Coastal and marine resources in North Carolina are among the most valuable, and yet are also among those that are changing most rapidly. The proximity of the CMAST facility in the “coastal research triangle” of marine science facilities in Carteret County, encourages multi-institutional and cross-disciplinary research. 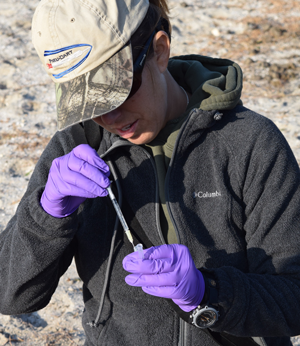 The environmental issues of coastal and marine resources engage studies in biology, oceanography, atmospheric sciences, chemistry, physics and engineering, economics, and policy. All of these academic themes define the socio-economic systems that support the residents and visitors to the shores. Students at NC State University are interested in learning about our coastal and marine resources, and the University is well-poised to take existing courses, and create a unique academic program that will be in high demand by students from all academic colleges. Dr. Bill Winner, who served as Director of the Environmental Sciences Program at NC State, stated “the Semester@CMAST Program sets the stage for development of facilities, courses, and curricula for a residential program allowing students to spend a semester at CMAST in a fully developed coastal and marine academic program. The 15 credits of coursework will carry the unique approach of NC State University that provides academic rigor, interdisciplinary perspectives, and engages the community and partners. The compelling academic program will also lead to further development of instructional staff and other facilities necessary for the University to have a coastal and marine program that embraces all institutional missions”. We are already looking forward to the Spring 2017, Semester@CMAST!